This old timber-framed farmhouse dates back to the 17th century. 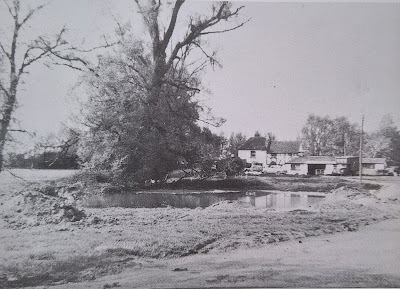 It is situated across the end of Common Road overlooking Eton Wick Little Common (the large Common nearer the village is Great Common). Very little land went with the farm, and it depended very much in the early years on common and Lammas land grazing. Occupants during the 20th century include Alf Tarrant who bought it from his father, James for £1000 in the 1930s. When Alf died, Bill Cooley (senior) took the farm on from Alf's widow Charlotte (née Bunce). It is still farmed by Bill's son. The photograph was taken in the 1950s. 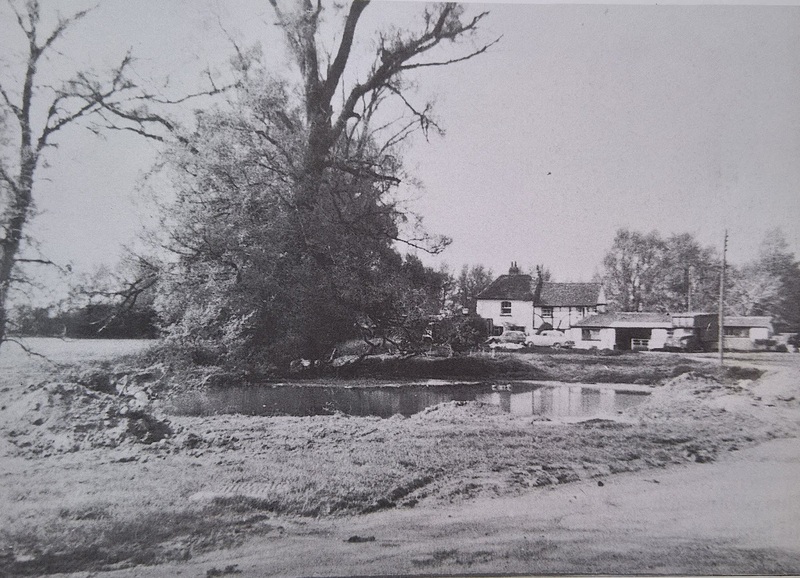 The pond was later infilled to allow large modern farm machinery to turn into Manor Farm, which is just across the road to the right. The meadow to the left is part of Saddocks Farm. All three farmhouses were built in close proximity and within view of each other. Note: Little Common Farm House is a Grade 2 Listed Building, details can be found on Historic England website.